An American-born Canadian journalist contemplates mindful living in a world threatened by climate change. In her first book, one-time Seattle lawyer Saxifrage tells the story of how she evolved from “comfy mama to climate hawk.” Her transformation began when she participated in an organic farming program on Cortes Island, just off the coast of British Columbia. Saxifrage and her husband immediately fell in love with the island’s unspoiled natural beauty and bought a 20-acre parcel. Eager to help preserve Cortes Island for future generations, the author began to serve on community environmental boards and research climate change. What she learned from these experiences led her to implement a plan—which included buying a hybrid vehicle, line-drying clothes, riding bicycles, using electricity rather than natural gas and traveling long distances by bus—to reduce personal carbon emissions. As part of this project of "claiming [their] relationship" to the Earth, she and her husband even renamed themselves after a tiny flower of the genus Saxifragaceae. The more invested she became in the well-being of Cortes Island and the planet, the more connected she felt to the living, the dead and herself. The ancient human jawbone discovered on a second property the family owned allowed Saxifrage to understand “the gift of limited time in this beautiful place” that she had been granted. Efforts at remembering dreams connected her to her innermost self and a Jungian collective unconscious. At the same time, heightened awareness led to increased anxiety about the rapidity of ecological destruction. Mindfulness pulled her from the depths of her own encroaching despair. Through this practice, Saxifrage learned that her task as a planetary caretaker was to find the balance to enjoy life while finding the resilience she needed to carry on the fight to save the Earth. 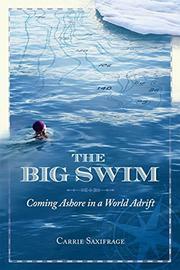 A soulful and sobering memoir of climate change and personal responsibilities.